When I was little, we’d always leave a tray of treats out on Christmas Eve – homemade mince pies for Father Christmas, carrots for the reindeer and a snifter of brandy to help our festive friend on his way (or my Dad to sleep, the more cynical amongst you might suggest). The next morning my big brother and I would excitedly examine the crumb-specked plate, empty glass and convincingly nibbled carrots, taking them as evidence that Santa and his helpers had enjoyed our hospitality. Now we’re a little older this tradition has slipped, but food still plays an important part in our family Christmas Eve. It’s a time when we can all gather round a table – without the ceremony of Christmas Day – to indulge in some festive favourites; smoked salmon and slices of buttered brown bread, squeezed with lemon and cracked with black pepper, meaty Italian sausages and soft braised lentils, earthy vegetables, ham and cheeses, nuts and seeds. The food is delicious but simple, preparing for the feasting to come, and dessert, as such, tends to come in the form of a big bowl of clementines and a giant panettone. Resplendent in its shiny brown paper packaging and elegant in its simplicity, panettone is crammed with the flavours of Christmas. Citrus, vanilla, honey and spices are bound with fruit in a dough rich with butter and yellow with egg yolks. My Dad gets ours from an artisan Italian baker, and this beautiful loaf always proves far more popular in our household than Christmas cake or mince pies, making appearances at breakfast, lunch and teatime in various torn, sliced, buttered and toasted states. Last weekend I made my own panettone, adding a few chocolate chunks (because I couldn’t resist) and waiting in anticipation while it baked, filling the house with rich aromas. It was good, but if I’m completely honest my panettone couldn’t compete with those you can get in the very best bakeries. Not yet, anyway. The proof here is in the proving – it takes time to make the perfect panettone and my recipe was a bit of a cheat, involving only a few hours from mixing the dough to the finished thing. I could have followed Dan Lepard’s advice, or this recipe from Wild Yeast, but instead I went for the easy option and adapted one from Delicious magazine. Delicious it was. Authentic and artisan it wasn’t. Sometimes that extra time is needed for a reason, and when I have a free weekend once the craziness of Christmas is over, I’m determined to give the proper version a go. In the meantime, I’d like to share this simple little recipe to keep you going through the holidays. Shop-bought panettone can be both huge and expensive, so unless you have an enormous family you may well end up with some slightly stale leftover loaf you can’t quite bring yourself to throw away. Don’t. Blitz it into beautiful sweet breadcrumbs, bake it into a panettone bread and butter pudding, or best of all, transform it into this; the ultimate toasted sandwich. Delicious after dinner, great for afternoon tea or devilishly decadent at breakfast, this recipe is what slightly stale panettone was made for. It’s the perfect midnight feast, great for drunken revellers or those returning home from midnight mass, and if you leave a little plate out for Santa this Christmas Eve, I guarantee you’ll find it gone in the morning. Happy Baking. And Happy Christmas. Cut thick slices of your panettone. Slather two slices generously with Nutella and sandwich together with the other halves. Lightly butter the outsides of your sandwiches and press into a toasted sandwich maker or fry for a couple of minutes on each side. While your sandwich is toasting, whip the cream in a bowl with a pinch of golden caster sugar and your clementine zest. Splash in some vin santo to taste and beat until combined and fairly stiff. Remove your sandwiches from the toaster/pan – the edges should be beautifully golden and toasty. Slice in half so the hot chocolate centre begins to ooze out, and top with a dollop of your boozy cream. Crumble over some cantuccini crumbs and serve. I’ve always looked forward to the festive season for Panettone! A cup of tea and that just makes me such a happy girl. Merry Christmas! Oh so decadent… looks delicious!!! I hope your Christmas was merry! Oh my gosh, that looks so delicious! I have just recently started enjoying Nutella and would love to make a toasted sandwich with it. I have none of these ingredients to hand. This disappoints me hugely as this looks and sounds amazing. 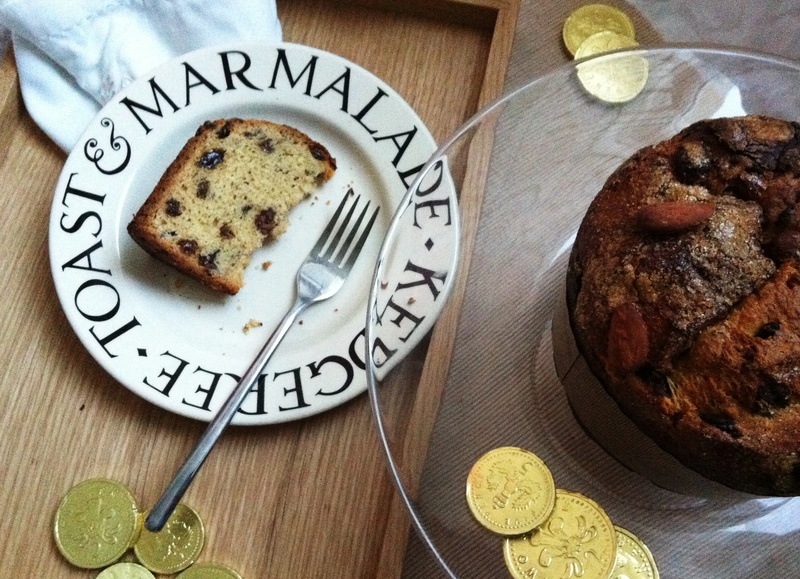 I much prefer panettone to Christmas cake and yet I note I haven’t eaten it for ages. Looks for a reduced one in the sales…. Oh that sandwich looks divine. It would have suited me very well on Christmas eve when I was rushing around like a mad thing all day to get to my Mother’s for late afternoon to help her out with the preparations only to find there wasn’t a single sweet thing in the house (that wasn’t in a stocking or gift wrapped)! You have now reminded me we have a tin of pannatone lurking somewhere that I’d forgotten about. it won’t be up to your superb artisan baker’s one or up to the standard of yours, but I expect we’ll enjoy it anyway – especially toasted!!! oh yes, littleloaf, making panettone can be quite a endeavour! i hope you give it more tries. and i love the combination of this sweet bread and nutella! what also tastes good is a good slice of “wurst” on this sweet bread! Sophie – Happy Christmas to you too! Edyth – haha, thank you! 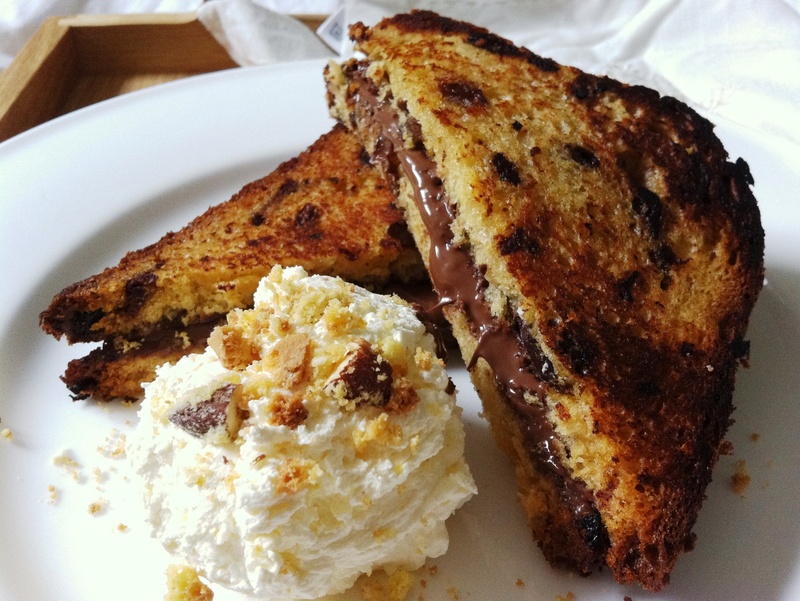 Yummy Supper – haha, you can’t go wrong with boozy cream and Nutella! 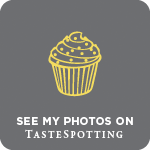 Miss South – panettone is far superior to Christmas cake in my opinion too! Julia – glad you like! Lorraine – if you find a good recipe do let me know. Jennifer – ooh, I’m not sure about wurst on panettone btu am intrigued…might have to give it a try! this looks fab. 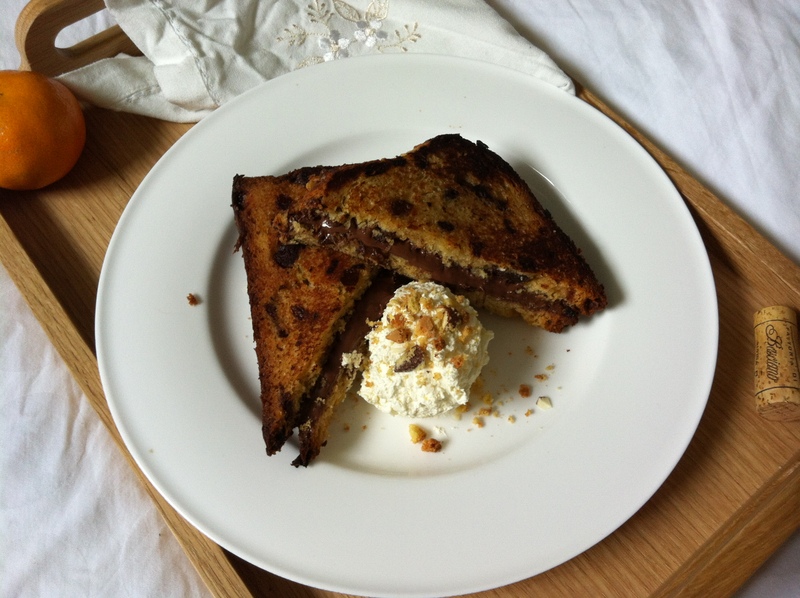 We have some pannetone left over so I plan to do this for brekkie tomorrow! Oh god, I think I actually drooled at that photo – it looks….perfect! This looks so … tacky that it’s fantastic. I’d just love to eat this – and probably wouldn’t stop until I feel sick. This one is going straight to the bookmarks. 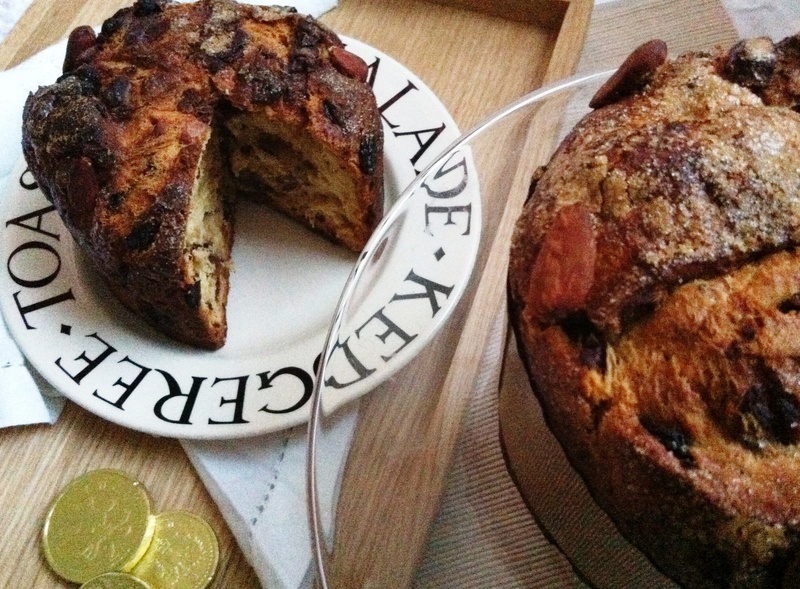 Fab recipe and a great way of using up leftover Panettone. I bought a Chocolate Panettone this year for Christmas and its all gone! Hope you had a wonderful Christmas. Working London Mummy – thanks for your tweet and glad you enjoyed it! Nic – thank you and Happy New Year! Looking forward to everything that 2012 brings. Mandy – that is the problem with recipes for leftovers – sometimes you just don’t have them!